Hey Friends! 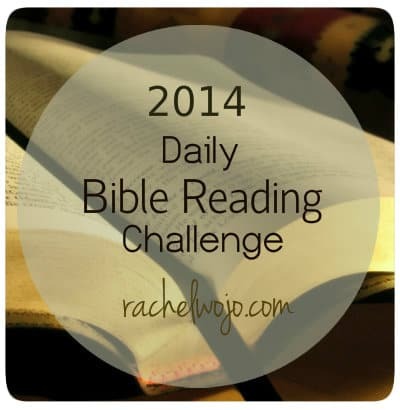 I’m excited to be unveiling our 2014 Daily Bible Reading Challenge today! This week I posted various daily Bible reading plans from which you can choose so that you would have an opportunity to look over them. You can choose methods that vary from a daily schedule to print and mark to email reminders or apps. Reading through the Bible in a year using the M’Cheyne plan provides approximately four chapters a day from four different books of the Bible. For me, this takes about 20 minutes a day. For 2014, we will use the M’Cheyne Bible Reading plan once more. After doing the 2013 Bible Reading Challenge, the largest lesson I learned is that finding a method that works well for you is the key to being able to read through the Bible in a year.I found that using the Olive Tree Bible Study App and tracking the plan through their available reading plans is the best method of daily reading for me. Each chapter can be marked off as you read. I found myself reading a chapter while waiting for children to picked up from practices or waiting in the doctor’s office. Last year the Lord just whispered to my heart that it was time to be serious about reading God’s Word. I’ve read through the Bible several times before, but it had been a few years since I had read the Bible from cover to cover. My husband gave a Christmas card to me and what did I do with it? I placed it in the kitchen window where I can see it and be thankful for it. I will pick it up several times over the next few weeks and read it to remember and reflect on his words of love to me. That’s what we do when we love someone- we enjoy their words of love to us. God loves us so very much. And I love Him. So naturally I want to reflect on His words of love to me. As far as studying the Bible in addition to reading it, I studied in various manners throughout the year. At some points, I was involved in a small group Bible study from church or the community while doing the Bible reading challenge. I didn’t take a lot of extra time to reflect on the daily Bible reading from the challenge because of the more in-depth studying I was doing with my small group. But in the weeks I was not involved in small group, I studied one chapter of the daily Bible reading in addition to reading it. I used this simple Bible study guide: 4 questions to ask for any chapter of the Bible for the study. I’m only telling you what worked for me to give you ideas on how the challenge might work for you. The point of collectively doing the 2014 Daily Bible Reading Challenge is to unite our hearts towards reading God’s Word and to provide encouragement to one another. For 2014, the daily scheduled reading will be posted in the right sidebar with the Olive Tree logo just as it is now or you can follow any method of the M’Cheyne Bible reading plan with us or any other plan you’d like. 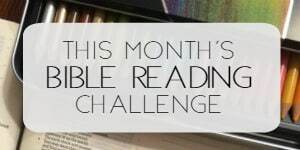 Would you like to join us for the 2014 Daily Bible Reading Challenge? Just leave a comment today to let us know that you read this post and want to be a part! Choose your plan and begin reading on Jan. 1 or before if you’d like! Then be sure to come back on our first check-in day, Monday, Jan. 6th and leave a comment so we can encourage one another. This is a great challenge! Every year I try a different one… Haven’t been successful yet but hope springs! Yea! I’m in! I love using the olive tree app too. This looks like a lot more fun than the one I did on my own last year. Thanks! I am going to try this again, hopefully being successful this time. Im in! Last year i read the bible through for the first time. This challenge really helped me. I did it in less than a year, and chose to reread psalms and proverbs and the new testament to round out the year. Im redy to get started again! Want to give it a try! Thanks for the inspiration! New to your blog. Looking for something like this. I’m in! I would like to give this a try. I have never read the whole bible. I want to do this, please! I read a lot in Psalms and Proverbs. With 31 chapters in Proverbs, it is easy to just hop in there. I pray daily for wisdom and grace to meet the day, whatever it brings. Will try to do a year systematically. I also do other studies online. Thanks for your encouragement. Blessings for a new year. I have read the Bible through, but it has been a very long time ago. I want to take this challenge and read it through again. But, I don’t want to just read it, I want bto learn and grow because of reading it! Started this challenge late in the year after reading Radical by David Platt; have fallen behind. Thanks for the encouragement to take up the commitment again! Willing to try anything to get out of this horrible funk I’ve been in for months. I can’t stand myself right now. oh Girl! I have so been there. Jesus, be with Kelly and let her feel Your love around her. Kelly, I got “100 Bible Verses Everyone Should Know By Heart” by Robert Morgan. I got it as a Kindle book. It starts out a little slow, Morgan uses the Holman translation, but otherwise it is a great book with interesting stories of Christians who’ve gone through tremendous adversity relying on memorized verses. You’ll probably already know some of the verses. Just a thought. At any rate, we’ve all either been in or we will be in a deep “funk”. God not only knows your sorrows, but he grieves for you pain. Tried many plans and many ways but this is going to be the year I make it, I pray, so I am in. YAY! Happy New Year to you, Tara! Would love to join this challenge! I would LOVE to participate! PLEASE help me stay accountable! I would like to be part of this challenge! Count me in 🙂 I’ve never read through the bible in a year! I’m in !!! Very excited!!! I’m definitely in! Thank you! I came across your site a few weeks ago. 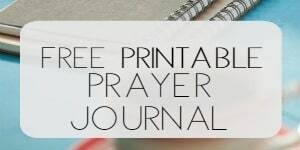 When I saw the 2013 Daily Bible Reading Challenge, I was hoping there would be one for 2014…prayer answered! I’ve always struggled with my commitment to be in God’s Word on a daily basis, but I look forward to a new opportunity to recommit. Thank you! Yes, include me in your challenge. Looking forward to this challenge. Thank you! I love that it was pinned daily on Pinterest last year! I’ve just recently started in the Gospels. This sounds great to me! I will be in on this too! I am in! I tried last year but I was in my last year of nursing school and then had my mom’s health issues to deal with and I just ended up having to drop the plan about March. But, this year I am going to see my plan to read the whole bible all the way through in a year through! I’m joining in:-) I have never read through the Bible! I can’t wait, I found you late in the year this year and I was hoping you were going to host a challenge for 2014!! May God richly bless you and your family in 2014!! Forgot to mentioned how much I loved the part about you comparing your reading of hubby’s Christmas card to reading God’s Word! Beautifully put!! I’m in. My pastor was always good to challenge me to do this I look forward to this. Signing up for the 2014 challenge. Count me in! Before I got married and had a child, I was wholly devoted to a daily reading time. Now I definitely struggle with it! This is my number one goal for the next year. I feel that if I dedicate myself to studying God’s Word, all those other things I’d like to change about my life will come into place because I’m aligning myself more and more with God’s plan for me. Thanks for the encouragement! I just had to share something I think is pretty amazing. After I decided to do the daily Bible reading, our pastor shared a challenge with our church – to read the Bible chronologically in an entire year. He even provided a reading schedule! How awesome is that?!? I was going to use the M’Cheyne plan, but instead I’m going to read along with my church. I think it is pretty amazing (and super powerful) for my church family to participate in this together. I can only imagine how much this will strengthen us! So, I’m still checking in and sharing with y’all, just on a different plan. I tried a few plans last year but sadly didn’t make it very far. I hope to change that this year with God’s help. Any suggestions on which plan to use for a beginner?? I always recommend starting with the 6 week gospel of John plan for beginning readers. I list it in the Daily plans link. If your goal is to read the Bible through in a year, then a chronological Bible is a great one to start with also. Here is a beginning Chronological plan for free from Bible Gateway: http://www.biblegateway.com/reading-plans/chronological I highly recommend the book, 30 Days to Understanding the Bible also. It is a very well-written overview that I just love. Have always wanted to try one of these, it’s now or never!!!! Please add me! I am excited to join this challenge! I have been looking for some kind of challenge for the new year to help me grow spiritually and I think this will be just the thing. I would love to try some memorization this year too! I started in 2013 and didn’t get finished! Going to try again! I am in! Excited to try this. I would like to try this challenge. I’m in! Maybe this will be the year I follow through! I’m gonna give it a shot. Could use the community accountability..
I’m in. Need a challenge to read the bible in a year. Please hold me accountable. Count me in! Excited about this bible study! Going to share with my friends! I am in! I have not yet completed a read-through-the-Bible plan, so please pray that I will be diligent with this! so want to do this…need accountability! I am excited to see so many make the commitment to read Gods Word everyday. I am a few days away from reading through the Bible in a year. The last time I read it through, took me three years. This years plan is to read it chronologically. 🙂 although, I would LOVE to follow your plan too Rachel! I pray each one of you find much joy and peace in 2014. I so sorely lack the discipline to finish any project. I am praying that I can spend time each morning with God, this will be a great tool in helping me achieve that goal! Thank You!! I am excited to join. I am ready for the challenge!! Count me in. Looking forward to trying something new this year! Count me in. Something’s got to change in my life. Let it begin with the commitment to reading God’s Word daily. Some might find it helpful to use an audio Bible for some of the readings . Biblegateway has several to choose from. yes- great point! I’ll be sure to mention this in a post again. I am willing to give this a try, I need more of the word working in my life! I want to join but have no clue what bible reading plan I would like to do! I love the M’Cheyne reading plan, as it takes you to four different parts of the Bible each day. It’s the one that Rachel will be using, so you will be in sync with her posts and many people’s comments. I love doing it on the Olive Tree Bible Reading app. I got this app from her recommendation, and have been using it ever since. Included in the app is a store, and they have many free books there. The app also has a concordance. Happy reading! I will be joining in on the challenge! It has been many years since I’ve read through my Bible from cover cover and I know God is calling me to do it again. I will be following along with the M’Cheyne Reading Plan on the YouVersion App. Thank you for mentioning the You Version app. I am not against downloading a new app to follow a plan, but since I already have You Version on my phone, it will save me data. 🙂 Looking forward to this plan! I am very excited to start this challenge. I have recently discovered that I do not know God well enough….I crave his presence in my life. This will help! I’m in too! I’ve never made it all the way thru but hopefully 2014 will be different. Love this idea, count me in! I was going to try to do this as well. I. Am hoping this will keep me committed and accountable!! I’m so glad you are doing this again. I began last year, but got hopelessly behind. I loved the thoughts you posted each day. And each day, as I would see the verses I should have been reading along with you, I was always a little disappointed that I wasn’t there, too. This year…different! I am just so anxious to hear what The Lord wants to speak to me! I am always so delighted with the gems He gives to me-and that’s my motivation! Amen- so glad you are not feeling defeated. You can do it!! One day at a time. One chapter at a time. I’ll be joining you in this challenge! I would love to join the bible challenge!! Count me in. I’d love to try again. I’ve had a hard time finding a plan that works for me, but I think one of these will work! I would like to be included in your 2014 reading plan!! Please count me in!! I came across your site today and was touched. I want to join this challenge because I feel that this will help to strengthen my daily walk with and in Christ Jesus. I love reading God’s word but I found myself being repetitious and not internalizing and applying. I was reading to read and because I was “suppose” to. I have been struggling with this for about six weeks now. I am excited and looking forward to rekindling my fire and drive. Bless you, Pam. I feel compelled to write to you and say that I know what it is like to get in a rut and just read the Bible as a check off. But I also know what it is like for God’s Word to speak so personally to me and that is what drives me to continue reading. Blessings to you in this endeavor!! Count me in! I am def doing this!! Since I’m turning 50 this year, this was 1 of things I had planned for myself to make this year special. Thanks for the guidance. My pastor- who is also my husband- encouraged our church family to ‘step up their game’ this year. It hit me that, although I have been a believer for a very long time, I have never even THOUGHT about taking on a Bible-reading challenge. I really WANT to, maybe that’s how the Holy Spirit is working on me. I need this… count me in. This past year has brought many wonderful gifts into my life – a new baby, a move for my family! I look forward to see what the LORD is going to do in 2014! To God Be Thwe Glory!!! I’m in. Thanks for the encouragement. I want to be more open to what God wants to say to me. I am looking forward to beginning this! 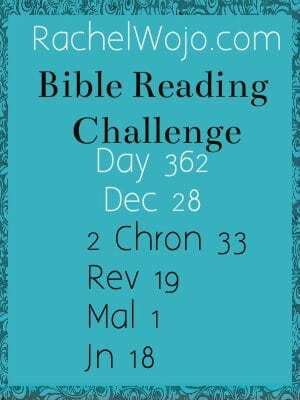 I will definitely be in on this challenge because I do read the Bible everyday, but I am learning how to study it much better. I would like to join you in reading this plan! I so want to do this! Count me in! love that you are doing it together! I’m going to try it. I only found your blog around October/November, and I’ve only read most of the New Testament and Psalms. Yikes! I feel led to really take this seriously so here I am! I would love to be part of this group and read my bible in a year. I need the accountability and mentoring. I really don’t know how to study the bible. I have never been taught. Just finished this morning with the 2013 Challenge. Joining with you again in 2014! I am looking forward to this! Thank you. I have read the bible via the plans the last 4 years, this year I am looking for something with a little more depth, more knowledge, just more! I am so hungry for the word of GOD, always lifted up after reading His word. I have been such a slacker lately with my children with their devotionals. It caused me to look further at myself realizing that I need to start with ME! I’m excited to read Gods word and have Him continue to transform me and my family!! oh I know that feeling. Don’t let it beat you up! Just draw close to Him- He sustains! Count me in for 2014! I’m looking forward to the challenge, Rachel and the community of support to stay strong! I really want to give this a try. Thank you, I found your blog today. This is a challenge I was hoping to take on this year. I was not sure how to do it, then I found this. I plan to do my best to follow through…thanks again. I’m going to do this! I’ve downloaded the Olive Tree. I don’t understand where to find the reading list. I’ve downloaded Olive Tree. Can someone help please? When you open Olive Tree, if you hit the little suitcase, the folder is called “My Stuff” You can select “Reading Plans” and you want to add the M’Cheyne plan. That is the one we are using. Does this help? Well, I’m in, again. I started with you strong and determined last year Rachel, and then bumped off track after Easter. 🙁 I spent the last 6 months of the last year with my nose in other books instead, studying to be a Health Coach. I am certified now, about to launch my new business, but all the more determined to have my life’s priorities in order. First things first each day in 2014! I would love to join you in this challenge. Thank you. I would love to join & grow closer to Christ through knowledge of His Word! Here I am…first day of 2014, and I just found this! It is an answer to prayer. I am committed to study, but I really do want to commit to reading and loving God’s whole word and not just what may be on a specific subject matter for the month (which I need…trust me). I’m in! Thank you for doing this. This will be my first year! Yay!!!! i would like to try this challenge. i have been trying to find something like this for a while. Would like to try this. I haven’t been to successful between babysitting, working and doctor’s appointments. Starting the challenge! Praying for discipline to see it through! I am so stoked to try this!!! I have never really known how to best start trying to read the bible all the way through but I think with this challenge I can do this!!!!! I cannot wait to see what the LORD has instore for my family this year. I had an amazing 2013 – a new baby, a delightful 2 year old, and a move for my family, and life (almost died from a ruptured appendix 4 weeks post-pardum) and many MANY blessings for the LORD! I cannot wait to start my year off on the right foot. I’m in. I’ve never done it. Count me in. Reading the Bible is one of my Goals for this year! Yes, please include me in your challenge. Count me in! This is my year of renewal … and I know that I cannot do it alone! Help and prayers always welcomed! I missed the sign up day, but am signing up as I started the reading yesterday! Printed my book marks to remind me daily what is to be read! Thankful for your website to help as I just stumbled on it yesterday! Count me in…. I’m late but I really want to join in on the challenge! Let’s help inspire each other!! Excited and I have some catching up to do!!! I would like to join… where do I find the 4 options? Do I download just the Olive Tree app or is there a specific one? Thank you and have a blessed day! My husband and I are using the M’Cheyne plan again this year. I found it on your website last year and we loved it!!! I couldn’t wait to start over again on January 1st. We recommend to our friends and others that want a good Bible reading plan. I’m a few days late, but joining in. I’m really looking forward to conquering something I have never done – reading the Bible all the way through! Am keen to try it electronically with others. I’m a few days late but I have always wanted to read the bible all the way through. It’s inspiring to read all these comments & I will definitely pass this on to my friends & family. I have some catching up to do! But this sounds like a great place to start. Please count me in! 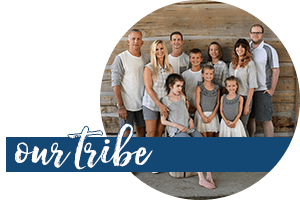 I just found your website and want to be a part of the Bible study. still plenty of time! 😉 Glad to have you! I would love 2 join. Yes yes and yes! A bit late but count me in! Super excited to catchup! Been keeping up with the reading so far 🙂 yay! I have really enjoyed how some things I’ve read before, new light and wisdom has been jumping out at me. Especially in the rough season I’m finding myself in right now…. It’s refreshing and amazing to know God’s Word always speaks and always shows new light. I’m a little late to start but I would love to do this challenge! Count me in! A week late, but I’ll catch up! Thank you for providing this!! I would like to read the Bible through in 2014 using your plan. Thanks!! glad to have you join in, Pat! Joining in, better late than never I guess. 🙂 Glad to have you!